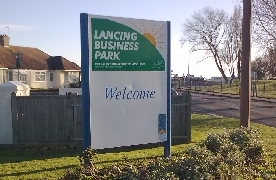 This event is provided at no cost to Lancing Business Park Members. Details: This year we will be holding a Trade Show prior to the AGM. This will give you the opportunity to showcase your business to other members on the Business Park and is FREE to exhibit. Space for the Trade Show is limited so please register your attendance ASAP and select if you would like to reserve your display space. The AGM will start at 6.00pm and the guest speaker will be Martin Perry Chief Executive of Brighton and Hove Albion FC. With the popularity of Brighton and Hove Albion Football Club we are sure there are many fans working on the Business Park. If any of your staff or colleagues would like to attend the AGM and listen to Martin Perry's update please click here to book your places early. The AGM is an open meeting, however only members that are companies based on the business park are allowed to vote on motions and there is a strict ruling of one vote per member. The AGM will be run in accordance with the B.I.D. best policy and will elect the Members of the Committee for the forthcoming year. All the above named are willing to stand for a further year.